Colgate-Palmolive (India) Limited, the market leader in oral care, today announced that tennis champion Mahesh Bhupathi (married to Bollywood star Lara Dutta) and actor & rugby player Rahul Bose will join Colgate Total in support of the brand’s commitment to increase awareness on the need for a ‘Healthy Mouth.’ Mahesh Bhupathi and Rahul Bose will star in a series of TV commercials to be aired across the country on national and regional channels. “As professional athletes, we sometimes do not give much importance to what is not visible to us. A ‘Healthy Mouth’ is linked to our overall health and is something that cannot be taken for granted. 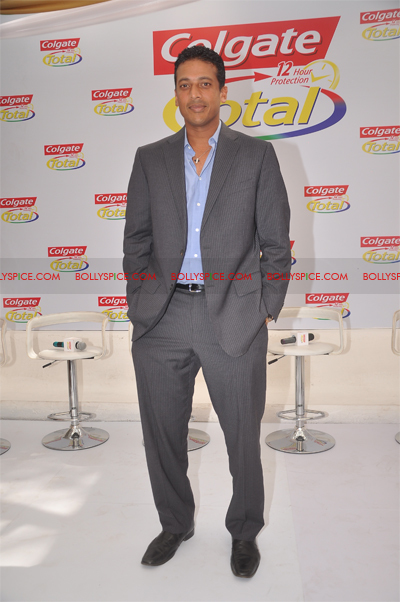 Given our busy lifestyles, Colgate Total’s unique formula ensures that we get the best oral care, and an overall healthy mouth,” said Mahesh Bhupathi. “I have always been obsessed with health and fitness. I exercise regularly, maintain a healthy diet and follow a disciplined oral care regime. When I got to know the significance of a healthy mouth for a healthy body from the leaders of oral care, Colgate, it was amazing to learn how Colgate Total so completely meets my oral care needs. Having experienced Colgate Total, I recommend it to my friends and family,” says Rahul Bose. 17 queries in 0.590 seconds.